Hello. I’m Eric Gang. Today, I want to talk to you about how to choose an attorney to represent you in your V.A. appeal. The selection of an attorney is a very important undertaking because you’re going to be working with this person for a long time. You need to make sure this is somebody you’re comfortable working with. And, if you’ve got a lot of years into this appeal, you’ve got a lot of back pay at stake, choosing the right attorney is very critical. There are a couple factors that you need to consider when making this selection. 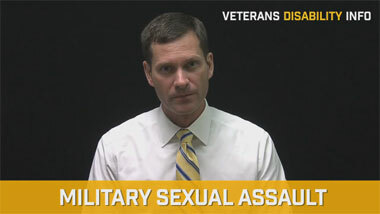 Number one, I would recommend you not retain an attorney unless he’s litigated at least 200 appeals at the U.S. Court of Appeals for Veterans Claims. An attorney who has litigated that many appeals at the Court is going to have the necessary experience and background to effectively represent you. Number two, I would highly recommend retaining a law firm that exclusively represents disabled veterans. 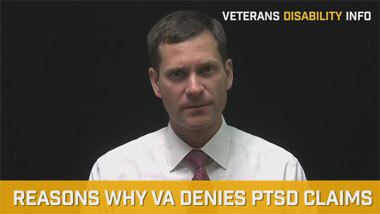 I would not recommend a law firm that merely does V.A. disability benefits as one of many things that they offer. 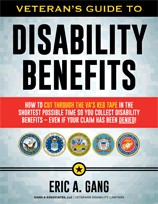 Lately, there have been a lot of personal injury attorneys and other types of firms that have been adding veterans’ disability benefits as an item on their menu of services. These law firms typically have very limited experience in this area of practice and, also, they have limited experience in litigating cases at the U. S. Court of Appeals. There’s an easy way to determine how many cases a lawyer has handled at the U. S. Court of Appeals. The U. S. Court of Appeals has a website: www.uscourts.cavc.gov. You can go there. You can type in the lawyer’s name. You can see a list of all the cases he’s handled. It will give you page after page of the cases that lawyer has handled. So, you can know whether or not the attorney you’re considering has litigated a sufficient number of cases at the Court. Again, selecting an attorney is a very important process, and it’s something you should not take lightly. If you’ve been denied, you’re on appeal, you’d like to explore how our firm may be able to help you, then I, of course, invite you to contact our office.